Horus Guest House Pyramids View is a great B&B where you can spend your time enjoying the view of the 3 great pyramids of Giza and the Sphinx. . A currency exchange shop and gift shop are available at the property. Free WiFi is offered throughout the property. 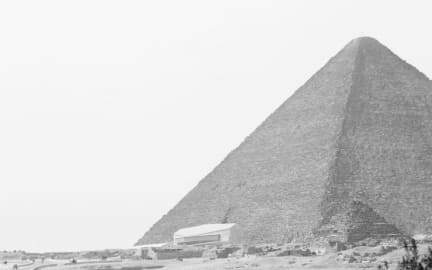 It is 2-minute walk from the entrance of Great Pyramids Of Giza and Sphinx. The apartment is 12 km from Mosque of Ibn Tulun. Bike hire and car hire are available at the property and the area is popular for horse riding. The Egyptian Museum is 12 km from Horus Guest House Apartment, while Mosque of Mohamed Ali Pasha is 13 km away. 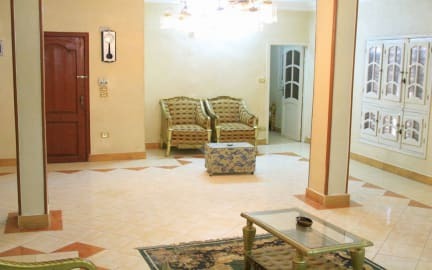 Cairo International Airport is 29 km from the property. The air-conditioned unit is fitted with a kitchen. Towels and bed linen are featured at Horus Guest House Apartment. Other facilities at Horus Guest House Apartment include a barbecue.